Find here your deals and coupons 883police. 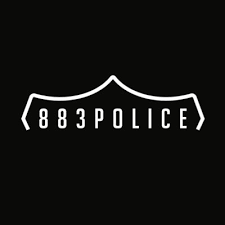 883 Police are a Premium Men’s Denim and Apparel lifestyle brand. Inspired by timeless Italian craftsmanship and fused with classic Americana, 883 Police have been responsible for producing some of the most progressive and iconic denim collections of the last 3 decades! We are therefore established as one of the global leaders in Denim. Developed from concepts of classic Italian styling and inspired by an unconventional American way of the life, 883 Police create hardwearing statement fashion for men, such as mens jeans, mens jackets who make an impact.Founded in the early ‘90s, 883 Police constructed a unique brand, influenced by the iconic 1957 Beat novel ‘On The Road’ by Jack Kerouac. As Kerouac journeys through the American highways and embraces ideals of adventure.